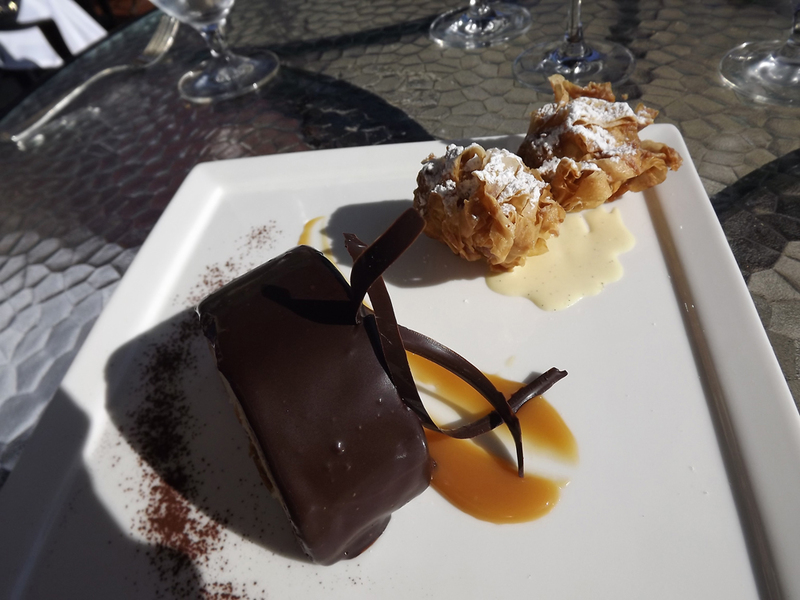 My friend Tracy picked me up at L’Auberge Carmel after I finished the delicious breakfast delivered to my room (included for all guests). 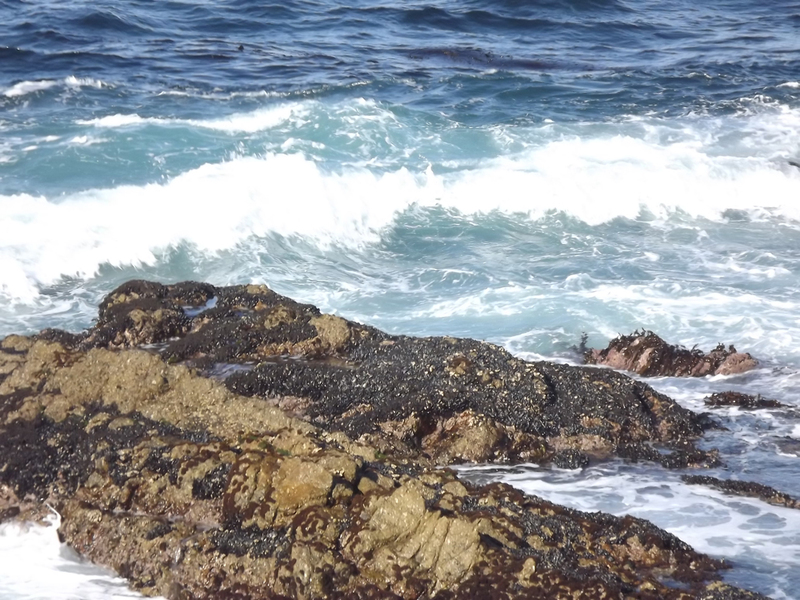 We had a final full day of fun ahead in Monterey County. 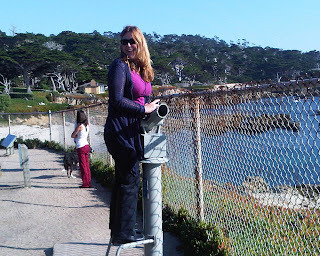 We were actually remaining in Carmel by the Sea, but moving to an adorable inn a few blocks down. 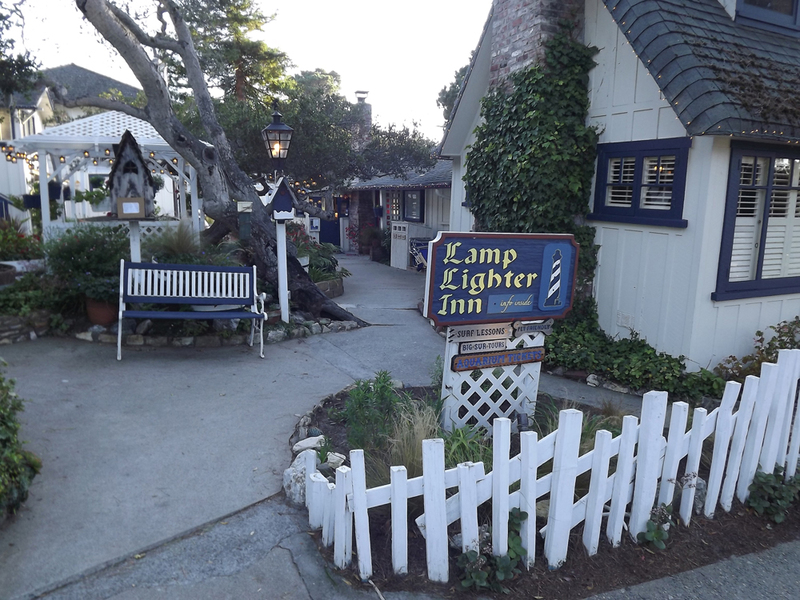 The Lamp Lighter Inn is actually a group of adorable cottages and guest rooms just a few blocks walk from both town and the beach. 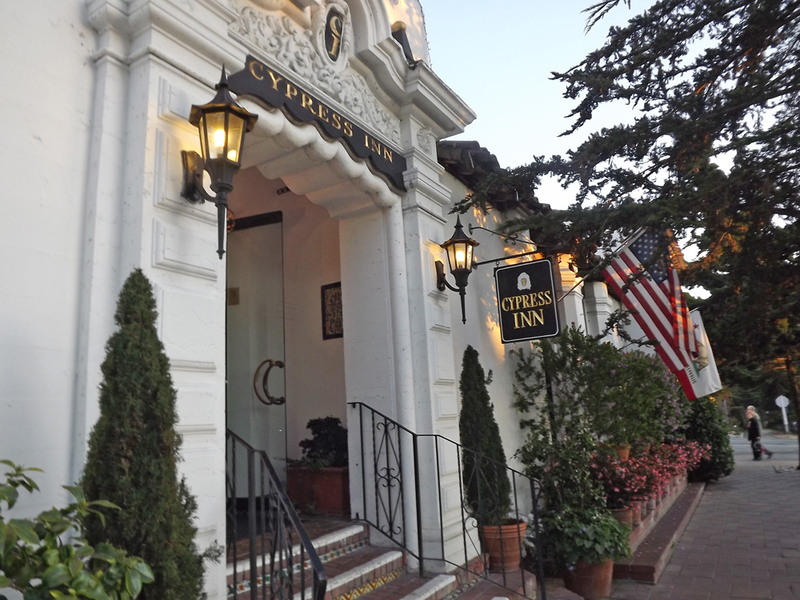 While it is called a bed & breakfast, it’s a lot more than both, with cute gardens, flowing wine and a deluxe continental breakfast in the morning. We stayed in the Bluebird Cottage which looked like it belonged in a fairy tale (there is also a Hansel & Gretel cottage, so I think I have the right theme). 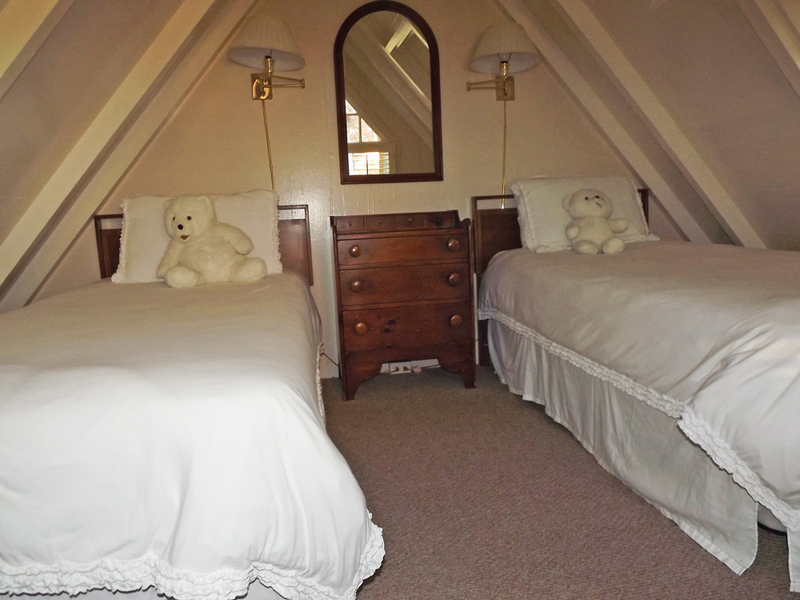 It has a king bed and bathroom downstairs with an electric fireplace, and twin beds upstairs (witha teddy bear on each). The upstairs became Tracy’s domain. There wasn’t long to spend admiring the room as we were soon off for our full day. 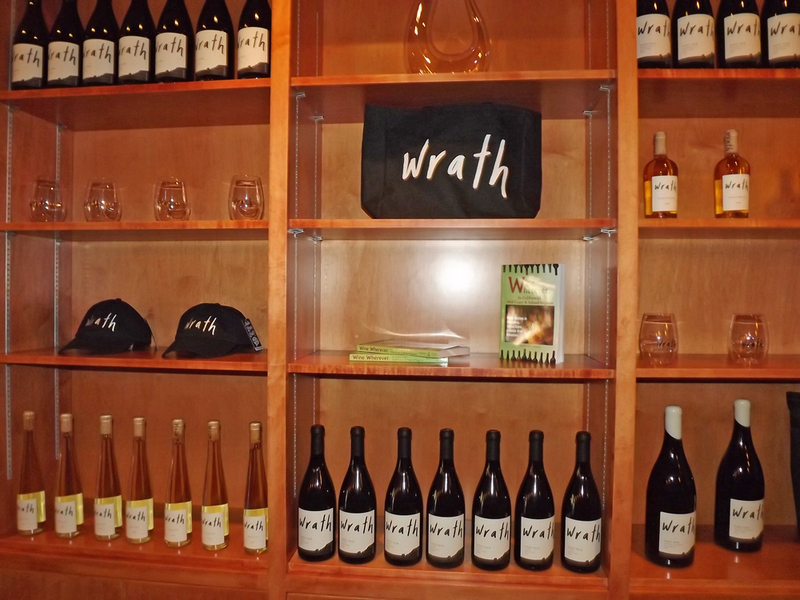 After watching some of the Carmel by the Sea Halloween Pet Parade, we headed over to Wrath Wines, which has a tasting room located right downtown. The title of this winery came from a Led Zeppelin song and it seems to fit right in with the wines, which are a bit different from the norm. 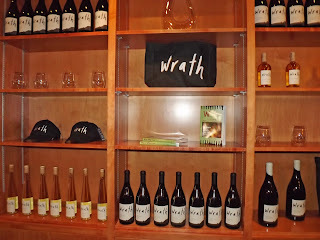 I loved their 2009 Wrath Syrah Doctor’s Vineyard and Syrah is far from my favorite wine. It was much more fruity and complex than most and I felt as if I was still tasting it five minutes after the sip. Their 2008 Sauvignon Blanc Late Harvest was like no other dessert wine I had tasted from this grape. It was a combination of sweet and spicy and actually smelled like asparagus! We took a drive down to the water for lunch at the Stillwater Grill at The Lodge at Pebble Beach, It is the location of one of the most famous -- and most beautiful -- golf courses in the world. It runs along the Pacific and we got to see both the ocean and the course as we enjoyed a great lunch. The fries and burgers (about the only things I could find on a menu full of seafood) were great and the Peanut Butter Chocolate dessert Tracy and I split was just incredible! From The Lodge, we took the famous 17 Mile Drive along the Pacific Ocean. It was as beautiful as I had remembered. As much as I’ve gotten used to living in the Midwest, there is just nothing like a drive along the beach to relax me and put me in a great mood. 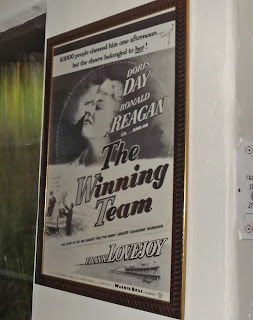 We changed quickly for dinner at a place where the owner is known for her good mood. Though Doris Day doesn’t get out much these days, she is still the owner of the Cypress Inn in Carmel by the Sea. As much as the wall shows tributes to Day, so do the policies. 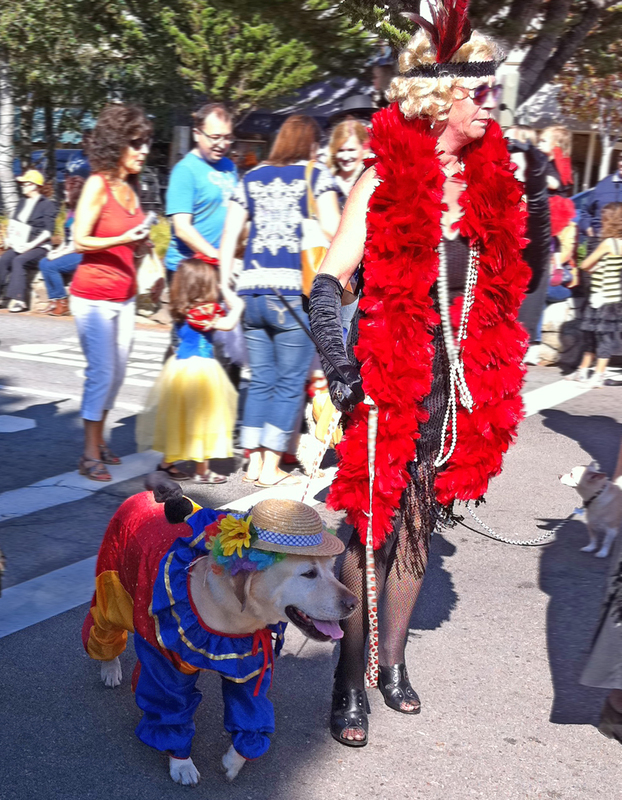 She is a dog lover and they are welcome here, with a “Yappy Hour” every day and a spot in the cocktail lounge when the lounge singer plays. After sipping a French 75, I sat down with Tracy for dinner. We started with the Roasted Vegetable Soup, which was just perfect on a night that was starting to get chilly. I then enjoyed the Penne Salsiccia, pasta with Italian sausage and onions in plum tomato sauce. Tracy really liked the Pan-Seared Scallops, with baby spinach and red truffled potatoes. We retired early after a very long day and spent our final day slowly making our way through Monterey County toward San Francisco Airport. We started with a walk down at the Carmel by the Sea beach and continued with a drive along the ocean until I was at the same airport I would return to a week later for my Sonoma trip. A word of caution…. 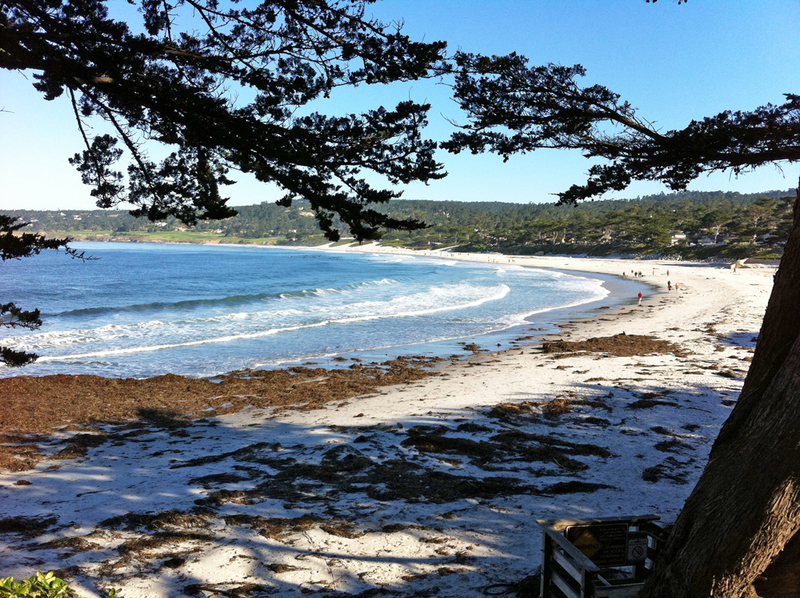 Dogs rule Carmel by the Sea this town and they are welcome in nearly every hotel, restaurant and store. I happen to love dogs, but I was a bit overwhelmed by day three. I started to have dreams that I was the only human left on earth (especially after the Halloween Pet Parade)! You will not find a better place in the world for pet lovers who can’t stand to leave their pooch home. However, if you are coming without a pet, stay in Carmel Valley and take a drive to Carmel by the Sea for a day trip -- it's definitely worth checking out.